Meet Ellis Knight; one of Five Star Bath Solution’s newest franchisees. Ellis was recently awarded 2 franchise locations in Oklahoma City, OK (North, South). In addition to becoming a new franchise owner, Ellis is also an HR manager in the Casino industry and oversees several facilities. With his professional background in human resources and business management, he was drawn to franchise ownership because he wanted a creative way to provide additional revenue, which he’s hopefully will shift into full time business ownership. Ellis has always had an entrepreneurial spirit and enjoys personal growth and is continuously seeking new opportunities to develop himself. 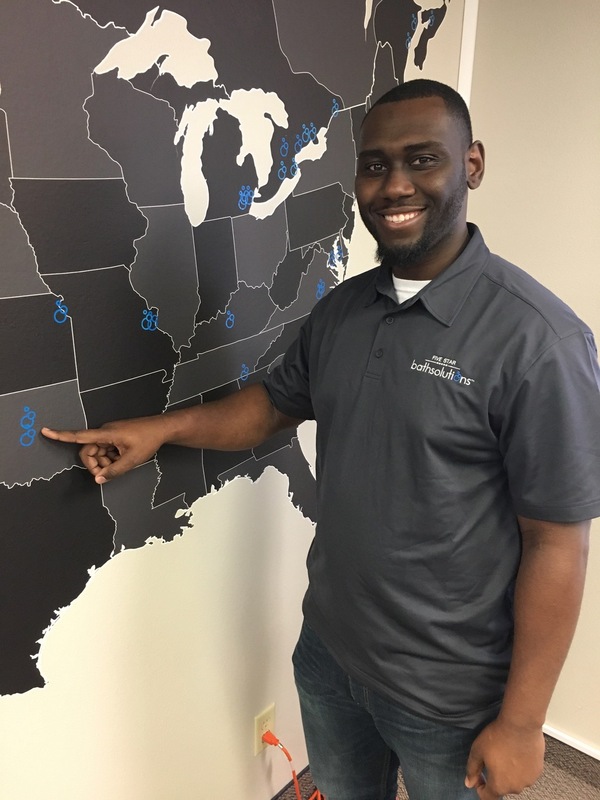 Ellis recently completed his new franchisee Business Training and is eager to get started. His goal for his customers is to provide the best customer service, put the customer first and to provide high quality product that his customers will enjoy for years to come. Ellis appreciates that Five Star Bath Solutions provides call center and marketing needs for franchisees. It gives him peace of mind that FSBS takes care of their franchisees and wants them to be successful which was evident to Ellis when he spoke with us. Ellis is family oriented and is married with two children. We are excited to have Five Star Bath Solutions in Oklahoma City with Ellis.